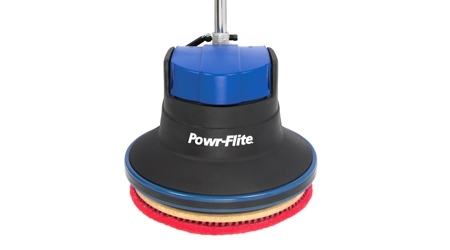 The Powr-Flite 17" 1.5 hp Millennium Edition Floor Machine provides the power and versatility for the toughest jobs and features a patented rotationally molded one-piece housing that reduces the vibration and torque commonly found in other floor machines. 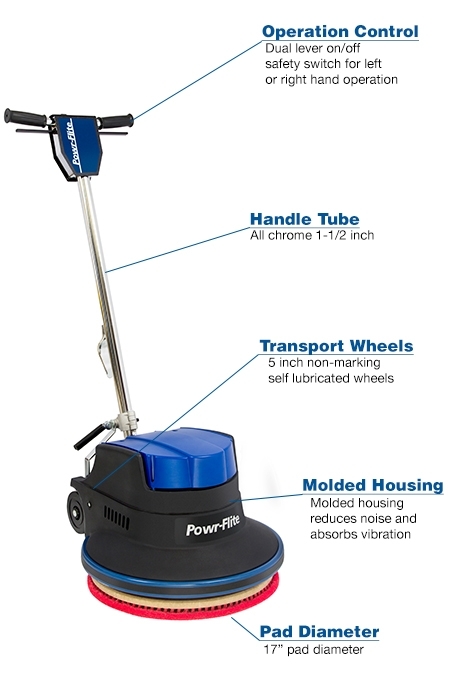 The 17" 1.5 hp Millennium Edition Floor Machine is powerful enough to handle tough jobs like grinding, but can also be used for more delicate jobs such as buffing finished floors. Additional pad drivers, sanding blocks and sanding discs are sold separately. Millennium Edition floor machines are heavier than floor machines of a similar size, giving you maximum pad pressure for the best results. 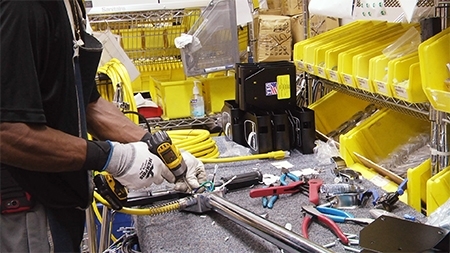 Each machine is assembled and tested by skilled American craftsmen.